Fully-sealed winch capable with 3,000 lb. (1,361 kg) of pulling strength. Includes a 0.9 HP motor, 50 feet (15 m) of 3/16 inch (5 m) wire rope, an ergonomically designed clutch knob, mechanical brake, hand-held remote and a sealed mini-rocker handlebar switch, a waterproof contactor and a roller fairlead. CE certified. A mammoth 3,000 lbs. of pulling power and 50' of durable wire rope, the RT30 winch is a powerhouse for big utility ATV’s designed for big jobs. Get-it-done features include an all-metal 3-stage planetary geartrain and it is fully sealed to help keep the elements out, providing years of smooth and reliable operation. It includes the patented disc brake for optimum braking performance and a short-throw clutch. With a handlebar-mounted mini-rocker switch and a corded remote with 10 foot lead for more winching options. The RT30 provides a great combination of power and control. 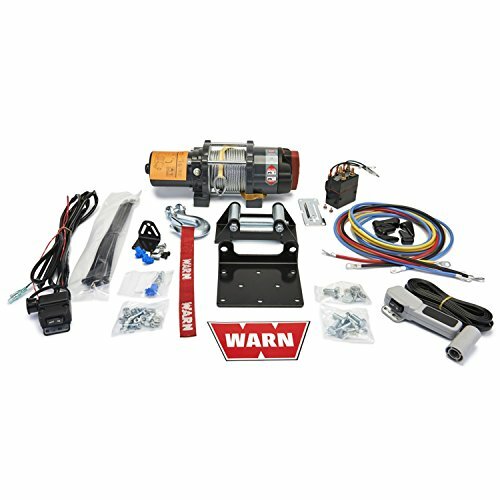 This is winch is 24 volt configuration. 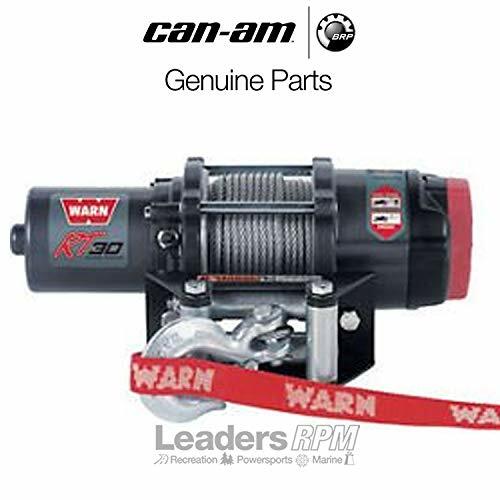 Fully-sealed winch with a pulling strength capability of 3,000 lb. (1,361 kg). Includes a 0.9 HP motor, 50 feet (15m) of 3/16 inch (5mm) wire rope, an ergonomically designed clutch knob, a mechanical brake, hand-held remote, potted and sealed mini rocker handlebar switch, waterproof contactor and roller fairlead. CE certified. 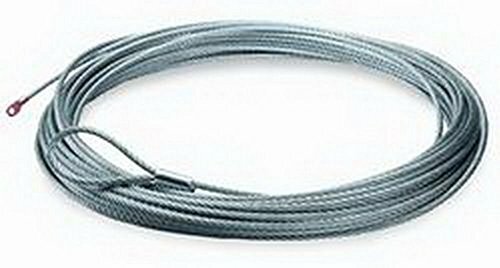 WARN ATV Replacement Wire Rope is an aircraft grade wire rope and is galvanized to help resist corrosion. Includes a swaged loop on one end and measures 50' x 3/16". 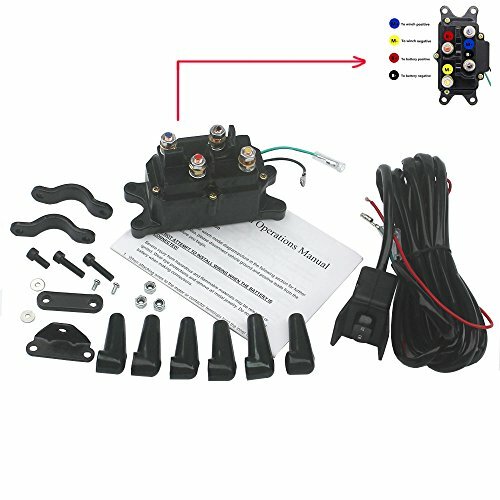 Designed for RT25, RT30, 2.5ci, 3.0ci, A2000, or A2500 winches with aluminum drum. 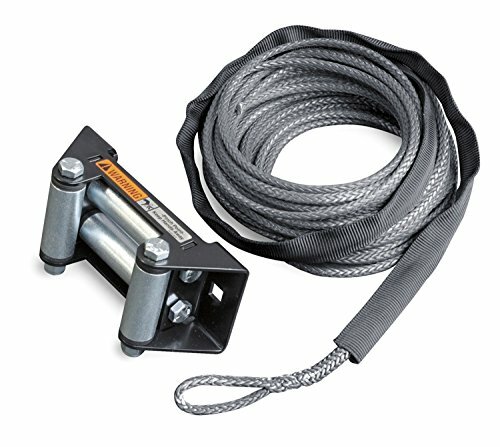 WARN Synthetic Rope Replacement Kit includes 50’ X 3/16" by synthetic rope and a rock guard sleeve. 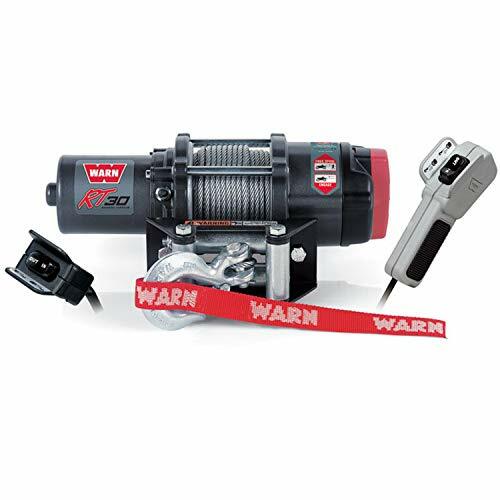 Compatible with the following WARN ATV winch models: RT25, XT25, RT30, XT30; 2.5ci, and 3.0ci. When replacing a wire rope with synthetic, it is necessary to replace the fairlead to avoid damage and wear to the new synthetic rope from the rough surface of the old fairlead. 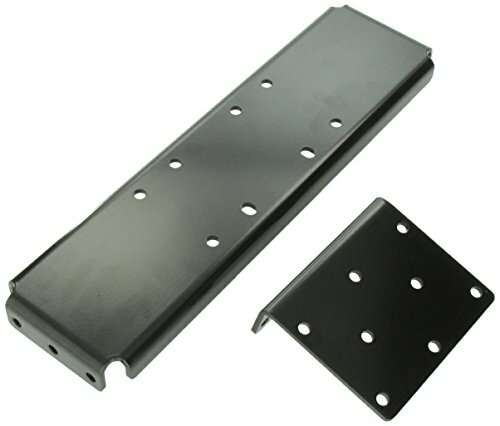 Brand new KFI Winch Mount for the following Yamaha ATV:All 2007-2013 Grizzly 700All 2009-2013 Grizzly 550Designed to work with the following Winches: KFI: ST15 / S2000 / A2500 / A3000 / SE25 / SE35Warn : U2500 / A2000 / A2500 / 1.5ci / 2.5ci / 2.5ce / 2.5s / 3.0ci / 3.0ce / 3.0sWarn : RT15 / RT25 / RT30 / XT15 / XT25 / XT30RAMSEY : ATV2500 / ATV3000SUPERWINCH : All ATV Winches VENOM : All ATV Winches MILE MARKER : All ATV Winches CHAMPION : C10013 / C10014 / C10018CHAMPION : C20049 / C20049-2 / C20051 / C20249 / C30045 / C30145NOTE:(requires a Roller Fairlead with a 4.875 inch Bolt Pattern)MANY OTHERS SIMILAR TO THE ABOVE (call for details)- Standard ATV Winch 4-hole bolt pattern of 3.00 inch X 4.875"- Standard ATV Winch 2-hole bolt pattern of 3.100"- Standard ATV Fairlead bolt pattern of 4.875"Specifications:100 Percent MADE IN USAConstructed of 3/16 inch steel Unlike all other mount competitors the mounts are metal bead blasted before they are powder coated for the best possible finish prep.Powder coated black for supreme durability Very easy to install Complete installation instructions included All mounting hardware included Satisfaction guaranteed Roller fairlead and winch not included. 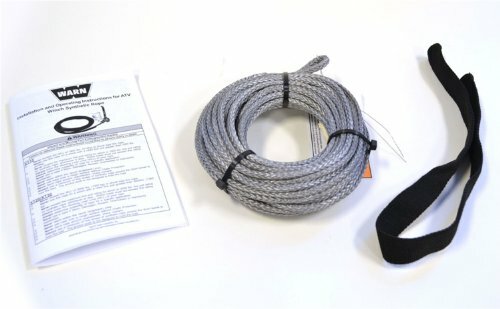 A replacement rope for the following WARN ATV winches: RT25, XT25, RT30, and the XT30. 50'x 3/16" synthetic rope. Synthetic rope is lightweight, easy-to-handle, and very flexible, which is great for vehicle recovery and plow lifting. Want more Rt30 Atv similar ideas? Try to explore these searches: America Skate Shoes, Porcelain Place Setting, and Nutritional Supply.